My training regimen for Born To Run 2016 was simple. Eat lots of burritos, shower less, drink cheap beer, and oh yeah, run a little. 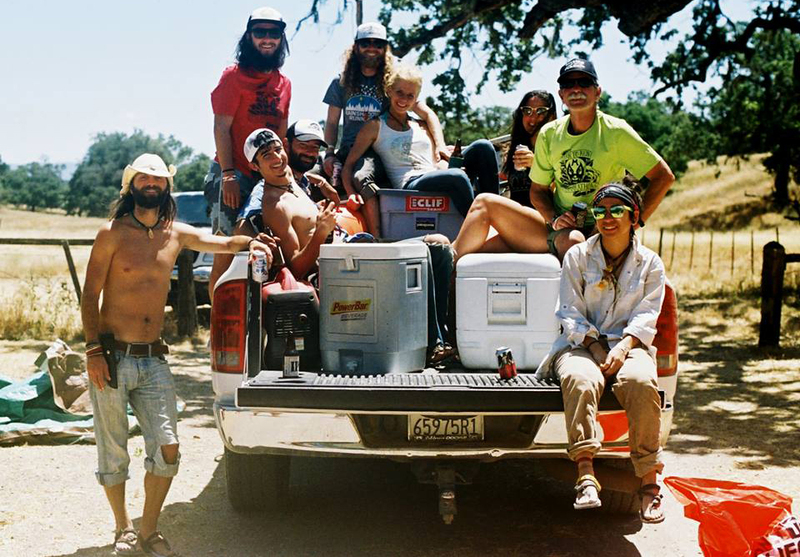 Each year the Born To Run Ultramarathons becomes less of a running race and more of a running festival, an annual global family gathering of dirtbag hippie nomadic friends who have a passion for running free. Being a homeless self-employed nomad myself, I had no excuse not to show up and help Luis prep the course on Tuesday of that week. Of course, that would mean that I would be living on the ranch for more than 5 full days and I wasn’t sure that my training had prepared me for that much Born To Run, but I agreed to give it a shot. Note: If you don’t like reading, just watch this video from Rob McCool. I arrived at the ranch an hour late due to some last minute ‘training’ at Figueroa Mountain Brewing the previous night. After setting up camp we spent most of the afternoon marking the course (read as driving a truck around the ranch drinking beer while trying to tie little ribbons onto tree branches). 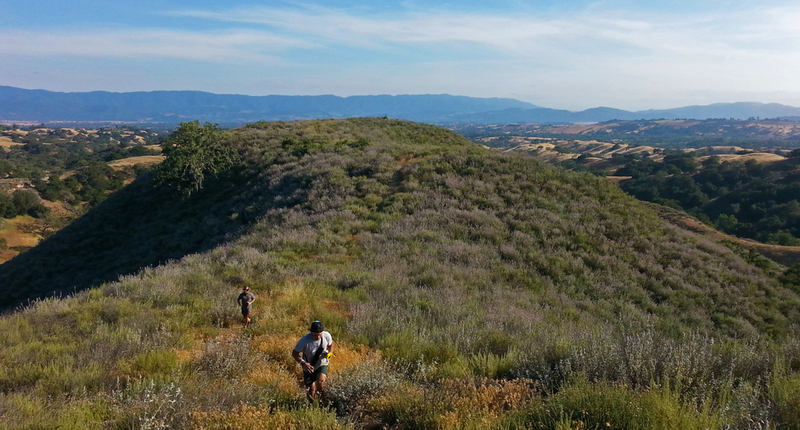 It was mostly productive, but we had a little more work to do the next morning before the 4 day runners hit the trail. Wednesday morning we grabbed more ribbons, a weed whacker, and a few PBR’s to finish marking the course and clearing the trail. The ridge line was so overgrown that we had to run two miles while weed whacking and cutting back the brush to get the single track ready. By the end of the ridge my arms and shoulders were pretty sore and I was ready to relax for the rest of the week. The 4 day runners took off that afternoon and we sat around drinking beer, cheering for each 10 mile loop, thankful that we had not signed up for the 4 day race. Ranch life started to pick up on Thursday. A few more people drifted in, the 200 mile racers started and the porta-potties finally got delivered. Each new arrival was punctuated with the popping tops of beers and hugs all around. 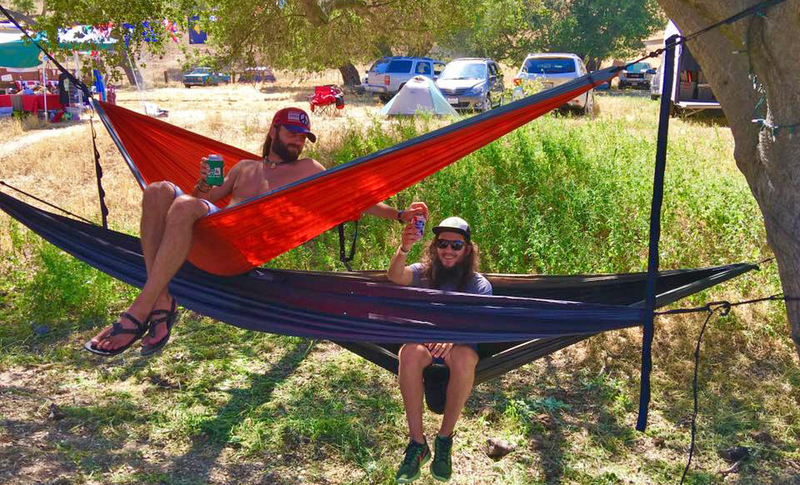 We started a hammock village in the middle of the campground, called in orders for fresh bags of ice, and chased away a several rattlesnakes, eventually killing and cooking a few for dinner. Day 3 also, unfortunately, brought around our first beer mile of the weekend. One friend was going to miss the Friday beer mile, so Clint and I, after a few beers, thought it would be a good idea to run a special “Maggie Mile” before she left. I’m sure I’ve had better ideas in my life, but the momentum was already building so I grabbed a few beers and lined up for the 1600 meter, 48 ounce race. John Rodrigue also arrived for the Born To Run 100 Mile race. 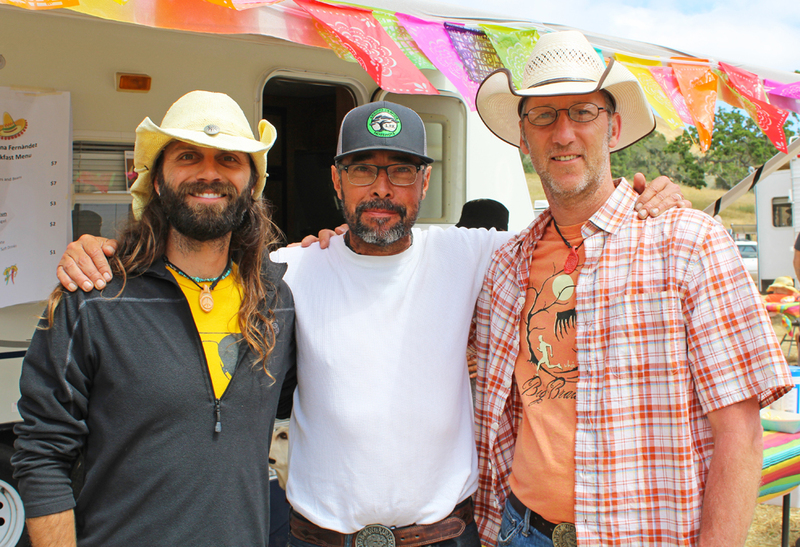 Luis and I had spent a week with John back on the Appalachian Trail as we crewed Scott Jurek during his record breaking Appalachian Trail run. John came bearing gifts, including cans of Moxie, a cough syrup tasting soft drink that Mainers love, but I quietly hid inside my van so I wouldn’t have to drink it. Friday was the calm before the storm. 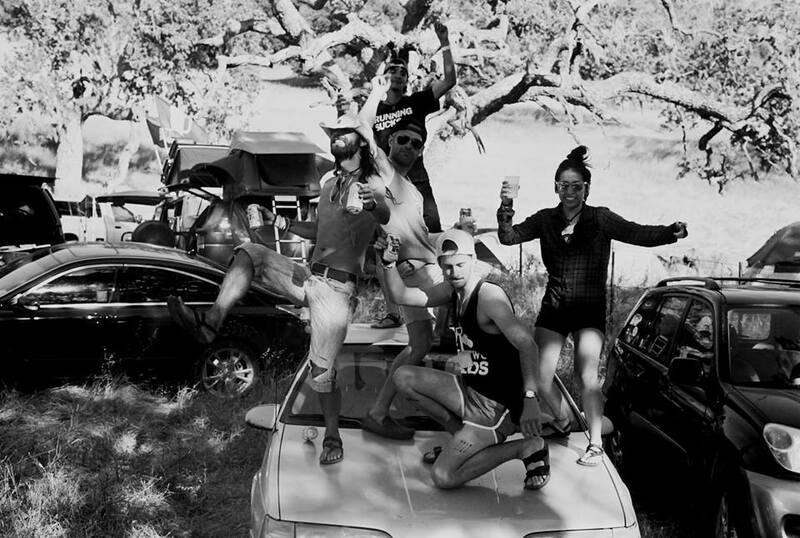 Many people were already on the ranch, but even more friends were en-route. Friday is always a tough balance of drinking beers with friends while also holding back for the afternoon beer mile. 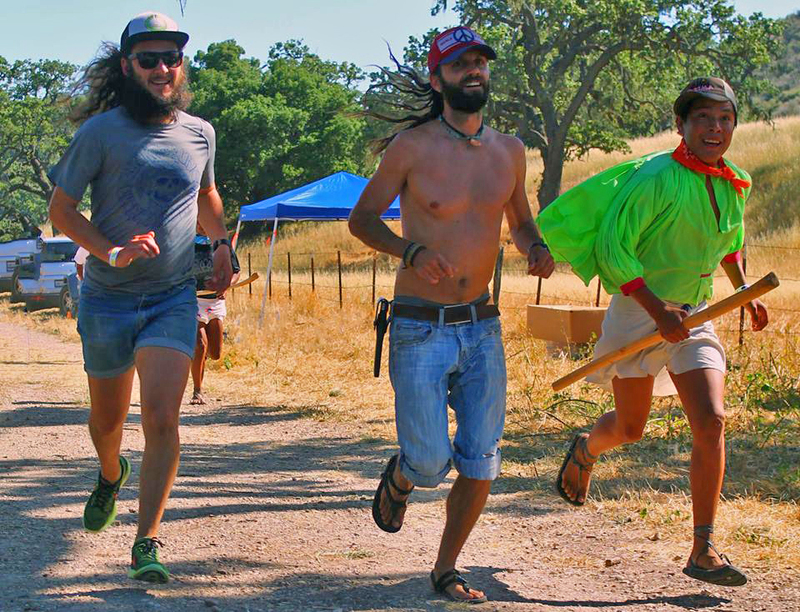 We crushed some burritos from Julie’s kitchen and then ran the Raramuri Ball Race. Note to self, for future events I should run first and eat later. The rest of the day consisted of wandering from campsite to campsite, a cartwheel competition (of which I took home a top 3 finish), and the annual “I wish I didn’t have to do this again” beer mile. Following the beer mile I think there was live music, dancing, and the typical Born To Run pre-race shenanigans. Mostly I just remember the Beer Mile followed by lining up for the 30 mile race the next morning. Saturday began as every other Born To Run event does…with a shotgun and mariachi music at 4:30 AM. Everybody up! You have 45 minutes to look like a runner and get to the start line! 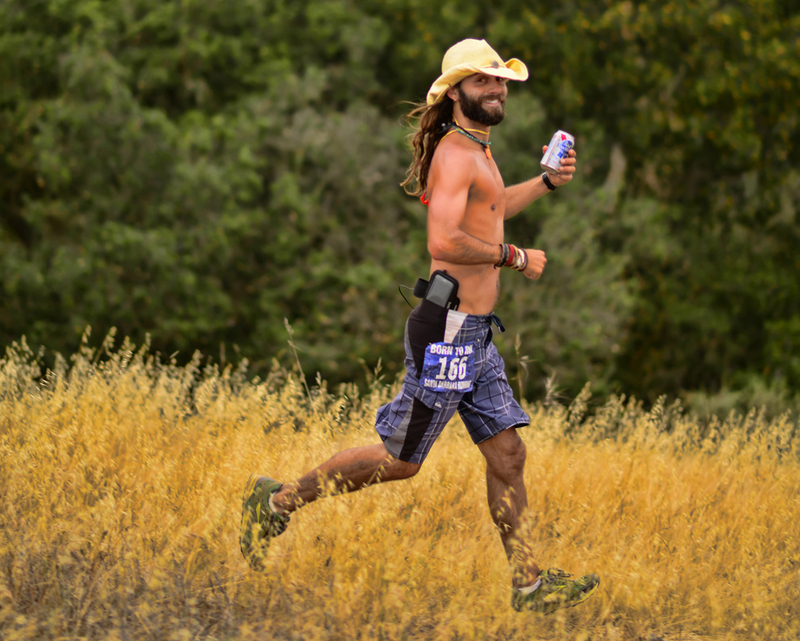 I decided that this year I didn’t want to look like a runner, so I pulled on my rolled up bluejeans, attached the Buck knife that I’d been wearing since day 1, put on my cowboy hat, and grabbed a beer for pre-race hydration. Instead of ditching my beer when the race started I carried the cold sudsy liquid and refilled the can with water at the aid stations. I surprised myself by completing the first 10 mile loop in under 90 minutes so I quickly changed out of my bluejeans, ditched the Buck knife, and took off with renewed vigor to finish in a respectable time. Before heading out on the second lap I grabbed another PBR. I was dedicated to finishing in a good time, but not enough to leave the beer behind. I finished the 30 mile course in 4 hours and 50 minutes, only 10 minutes slower than the previous year. Not bad for running in jeans and carrying a beer can the entire way! We hung around the rest of the day cheering and celebrating as more people finished the 10 , 30, 60, 100, and 200 mile races. The afternoon’s events unfortunately included the second annual Brazilian jiu-jitsu sparring challenge. Two professionals went at it to raise money for the 22Kill organization and then several amateur events followed. Of course, we had to have a rematch of the Clemens Brothers Fight Of The Century, and for some reason everyone decided that the loser would have to wear a dress to the Dirtbag Prom that night. At this point, I would like to fast forward to Sunday, but I guess I can’t. I lost, but I think I looked damn good in that dress. 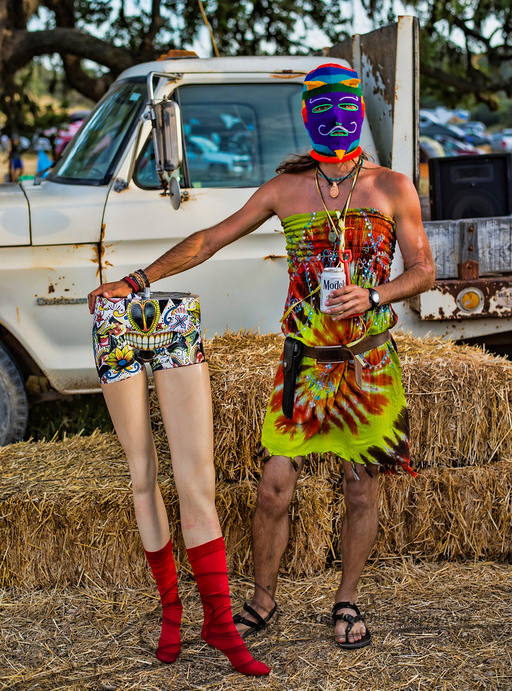 Everyone donned their best thrift store garb and we danced the night away. My leg muscles were more sore from jumping, dancing, and running around camp than the 30 mile race, but that’s what it’s all about. We danced (on cars), sang, and cheered late into the night until everyone finally gave up and crawled into sleeping bags. I’d been on the ranch for 5 days now and was in much need of a shower and a detox. Everyone slowly started stirring around their campsites. We hobbled around on sore dancing legs and pieced together stories from the previous night’s party. We started packing up camp and as most of our friends left to return to the civilized world we grabbed the last cooler of cold beer and headed out to sweep the course. By late afternoon everything was cleaned, packed, and ready to go. 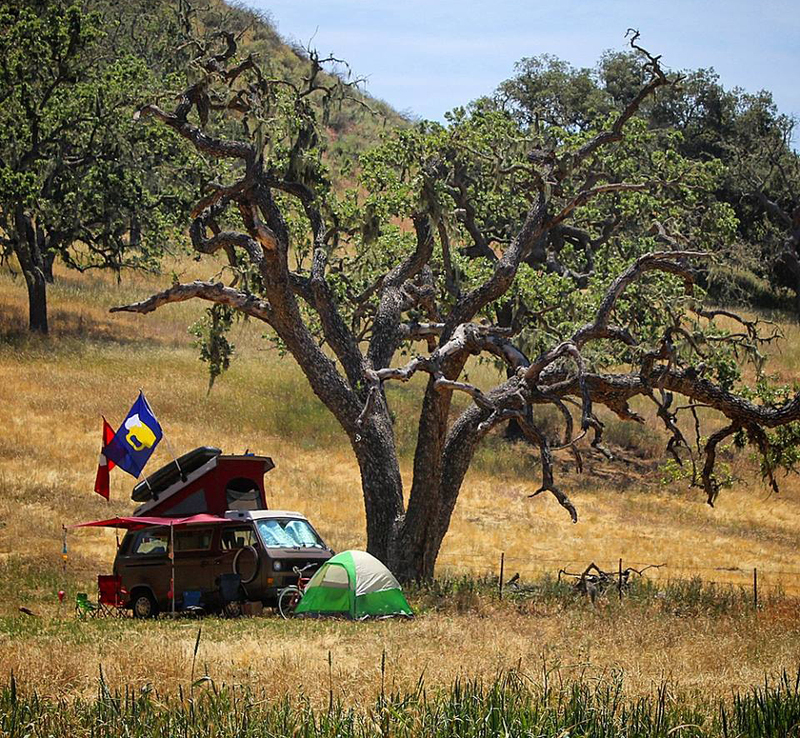 Not wanting the weekend to end a group of us decided to camp one more night in the Los Padres National Forest. 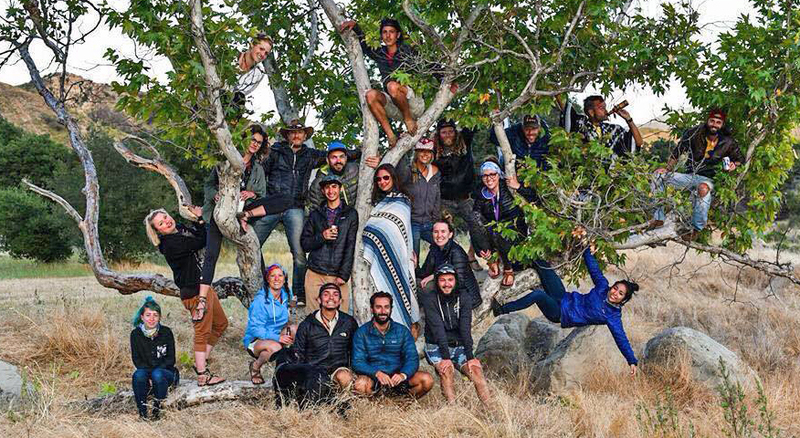 We sat around a campfire, shared dinner and drinks, and laughed about the past few days. I fell asleep to the sounds of the forest, looking forward to returning to town to shower and get back to work, but knowing that as soon as I did I’d be missing this. Monday morning I was back in Santa Barbara just after sunrise. I doused myself in cologne to mask the Born To Run smell and knocked out a few hours of work in a coffee shop before heading to the laundromat to wash everything I own and use my solar shower in the parking lot. Finally clean again, I drove to the beach to make dinner and reflect on the week. It had been another successful Born To Run event and I had the photos and stories to prove it. But most important were the friends that I shared it with. 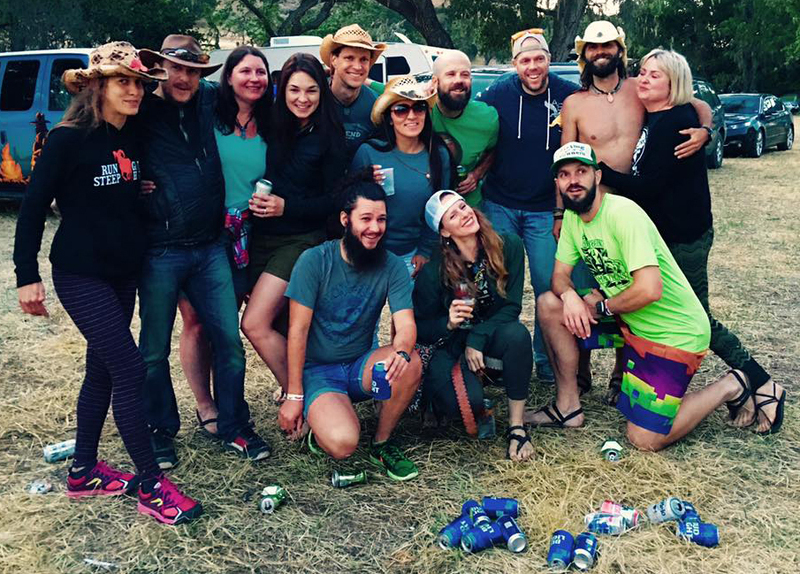 When I look back on Born To Run 2016 that’s what I’ll remember…the people.